Remember the red colour option on the OnePlus Bullets Wireless earphones you could never buy on OnePlus’ site? It’s soon going to be available in India. Launched along with the OnePlus 6 earlier this year, the OnePlus Bullets Wireless earphones have been around for a while now and have impressed us during the review. However, they were available only in a single colour all along: black. The second colour option of red was always unavailable. Now, OnePlus has listed the red colour option as well on its product page for the same price of Rs 3,990. 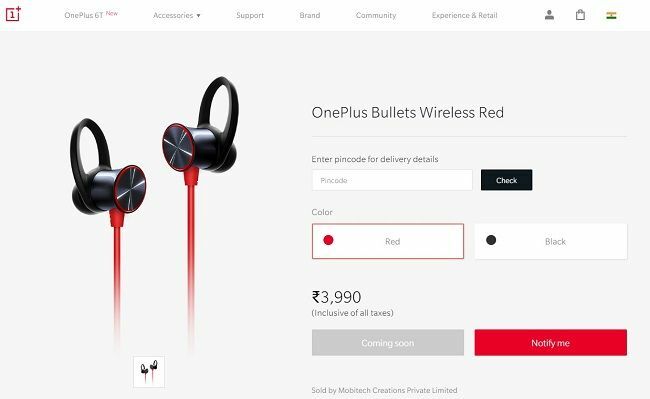 At the moment, both colour options of the OnePlus Bullets Wireless earphones are marked ‘Coming soon’ on OnePlus’ website. There’s no mention of an availability date anywhere in the website. 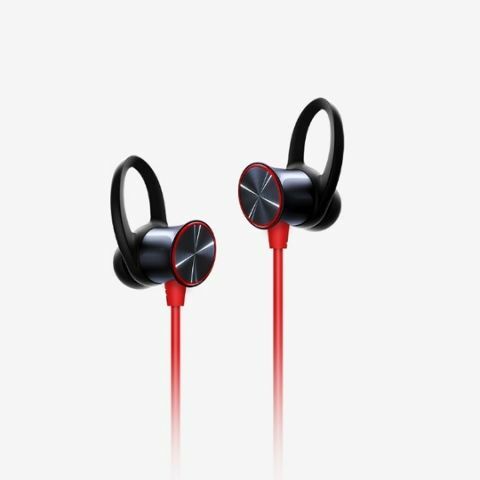 The Bullets Wireless earphones with the new colour option retain the red ring and the black body around the earbuds to distinguish the brand but feature bright red cords. It’s sure to draw a crowd of customers. The OnePlus Bullets Wireless earphones use Bluetooth 4.1 to connect to smartphones wirelessly up to a range of about 9 metres. They have support for Qualcomm’s aptX HD audio codec, which delivers high-definition audio at 576 kilobits per second. Though they’re not completely water-resistant, OnePlus says you can “take them for a run”, which means the Bullets are, at the least, sweat-resistant. The Bullets Wireless earphones deliver a battery life of about 7.5 hours on a single charge and claim to gain back 80 percent charge in ten minutes when a OnePlus smartphone charger is plugged in. There’s no word yet on when the new colour option on the OnePlus Bullets Wireless earphones will be available, but it is expected to come out within a month’s time. Can u help me in connecting my red gear wireless gamepad to laptop??? any wireless earphones which has best battery life?